Well here’s an interesting twist on the net neutrality debate. Mozilla, the open source foundation behind the Firefox browser, thinks that it has found a legal way to get the Federal Communications Commission to protect network neutrality and to give consumer activists calling for the agency to regulate broadband as a utility what they want. Mozilla filed a petition with the FCC Monday asking the agency to recognize that, in addition to the relationship between ISP’s and their end customers, there is a separate relationship between the content provider (Amazon, Google, Netflix etc) and the ISP, and that relationship should be classified as transport under Title II of the 1996 Telecommunications Act. Instead of saying the ISP simply has a duty to deliver all packets over its pipes to the consumer without discrimination, Mozilla claims there is a second legal obligation: a duty the ISP owes to content providers, who expect their packets to be delivered in a neutral manner. Mozilla suggests that the FCC split this relationship into two relationships, and that it classify the content-provider and ISP relationship as transport. Categorizing remote delivery services as telecommunications services is consistent with the guidelines set by both Congress and the DC Circuit Court of Appeals, and would give the FCC ample ability to adopt and enforce meaningful net neutrality. With clear authority and effective rules, ISPs would be prevented from blocking or discriminating against any edge provider, whether on a wireline or wireless network. A bit of history — okay, a lot of it. There’s a lot to unpack here, so let’s take it in order. Back 2002 when broadband was gaining popularity mostly because it was a delivery vehicle for email, the FCC ruled that broadband was classified as an information service, with email and various web pages being the information. This is unlike phone lines, which were transport services, which allowed the FCC more power of making sure no one played unfairly. Former FCC Chairman Julius Genachowski, who was the original wimp when it comes to broadband reclassification. In a series of rulings, the FCC declared DSL, cable broadband and wireless broadband information services, under Title I of the telecommunications Act. That, from a net neutrality perspective today, was the beginning of the end. In 2010, the U.S. Federal Court of Appeals struck the first real blow in the reclassification fight noting that because cable broadband was classified as an information service the FCC couldn’t censure Comcast for blocking P2P files. At the time, since the agency was in the process of writing formal net neutrality rules, as opposed to the basic principles it had followed since 2005, the thinking was that the agency would solidify its position and reclassify broadband as transport under Title II. It didn’t. Former chairman Julius Genachowski was too afraid of the telco lobby and Congress to solve the gaping hole in the net neutrality rules. Instead, he tried to walk the line between reclassifying broadband and keeping telcos happy, which led to the decision in January, that gutted the agency’s net neutrality rules. Now, with Chairman Tom Wheeler at the helm, proponents of network neutrality are calling for the agency to reclassify broadband like it should have done in 2010 — to undo the series of decisions it made going back as far as 2002 when broadband providers often did provide email, storage and other so-called information services. Instead, Wheeler is taking a path to net neutrality that will allow ISPs to create different traffic lanes and possibly even offer companies — from new services to content providers like Amazon or Netflix — the chance to pay to get their traffic priority on last mile networks. This is a solution that will fundamentally change the internet — although Wheeler denies that ISPs will have free rein to start charging. The agency’s rules currently propose a non-blocking provision as well as order transparency regarding any prioritization. The agency plans to start the process of making those rules the law of the land with the release of a Notice of Proposed Rulemaking on May 15. The idea is that Wheeler’s compromise will take effect before the end of the year. Mozilla’s proposal calls on the FCC to make a Declaratory Judgement, and the hope is by petitioning the agency now, it can influence the content of the Notice of Proposed Rulemaking, so this suggested new relationship is discussed in parallel. Chris Riley, senior policy engineer at Mozilla, says he’s hoping the agency can issue a declaratory judgment recognizing this relationship and protect net neutrality also before the end of the year. But can this work? It’s a neat way to call Wheeler’s bluff on the reclassification issue, which is so politically charged, that he truly can’t touch it. Instead of attacking the cable and telcos from the front on reclassification, he could sneak around from the side. However, Wheeler’s made statements in the past that indicate he’s okay with a double-sided market for broadband, which means he may not want to impose this new relationship on ISPs. Such an action would also undoubtedly lead to lawsuits if it were implemented, which throws net neutrality into doubt for even longer. However, it’s about time someone changed the terms of this debate to reflect how the internet has changed since 2002 when the FCC decided it wasn’t a utility. Since then, as people have abandoned ISP-specific email, portals and more to surf for content and choose services delivered from the wider internet, it’s clear that ISPs are a conduit for content and services, not a provider of them. Mozilla seeks to get the FCC to recognize this in a way that might be politically viable. Hopefully the agency takes Mozilla up on the idea. This story was updated at 8:22 to correct Chris Riley’s title. He is a senior policy engineer not general counsel. Brilliant I hope it works! Go Mozilla! I understand what Mozilla is saying. However, as a consumer of products, I have choices, like not buying that product. Those who produce, or distribute products (in part) look at price hikes simply: people may complain, but will continue to buy those products. I have never lived my life where I stretch my finances. And in these current times, I personally believe that anyone raising prices is taking a risk. Since late 2008 I have cut several products, including cable, and will continue to do so. Depending on circumstances I do write my representatives, a manufacturer, or retailer. I realize that isn’t always productive, but not buying their product is a different matter altogether. Put simply, if a significant number of people stop buying a product, profits drop to a point where someone has a choice to make; raise prices even more and risk more lost customers, or drop prices and hope to regain customers. A significant number does ‘not’ have to be a majority. You talk of Cable TV. This is not TV. This is basic Internet Services. Not at all the same thing. I bet you are not doing without Internet access. If you want to ruin something just regulate it and add a bunch of rules. There’s no reason fiber cannot handle all the traffic. The real issue is greed and aging infrastructure. As other nations pass us by we sell our government sells us out to the rich. same thing that happened with analog television. the government needed these frequencies so bad then they sold them for billions to the rich for 4G Wimax. Now you cannot get a descent signal for free when it rains so it’s do without or pay 150.00mn for cable or satellite television services. Rain or shine, my old-fashioned rabbit-ears get the DTV signal to my converter boxes so that I can tape the shows on my VCRs. All five of them. they don’t know how to be neutral at their own offices. i don’t trust them to be neutral with my net. Sounds like a job for Tesla/Google merger. They can go on some joint venture and drum up new technology to broadcast worldwide free broadband from space. Maybe somehow linking end user units peer to peer as back-up relay points. Always on, max speed in and out. No throttling down speeds with superfluous extra individual detection software and hardware at an ISP middleman troll factory, or keeping track of individual people at all. Go Google, Go Tesla. Why not lump in special access regulation (a 12 year old issue) and IP transition? All of these speak to interconnect issues and a proper analysis will conclude that we need to move the peering points farther out to the edge. Mozilla is right in reffering to edge access providers as IAPs or transit cos. They stopped being ISPs when regulators lumped layer 1-2 broadband transit into the mix. Comcast should not be a bottleneck that mandates the internet only peers at 19 of its interconnection points for 20m BB subscribers. The economics and efficiency are absurd for real-time 2-way HD collaboration, seamless mobile BB (40-50% of wireless costs are backhaul and site rental and we don’t even include cost of offload), and the internet of things. Traffic could transit hundreds of miles even though the two endpoints are a few miles apart. All of these require much greater capacity at the edge (particularly upstream), lower latency, QoS, security and redundancy. Time for the debate to start looking at the future and all interconnection issues; not just 1-way content. I wouldn’t get your hopes up. Wheeler has a history as a lobbyist for the telcom industry. He’s about as corrupt as corrupt can be, a perfect example of our twisted system’s revolving door. How can a cable lobbyist end up heading the FCC? Comcast, Verizon, Apple, they are all a bunch of crooks. Probably worth mentioning for context that Tom Wheeler is the former head of the cable lobby. 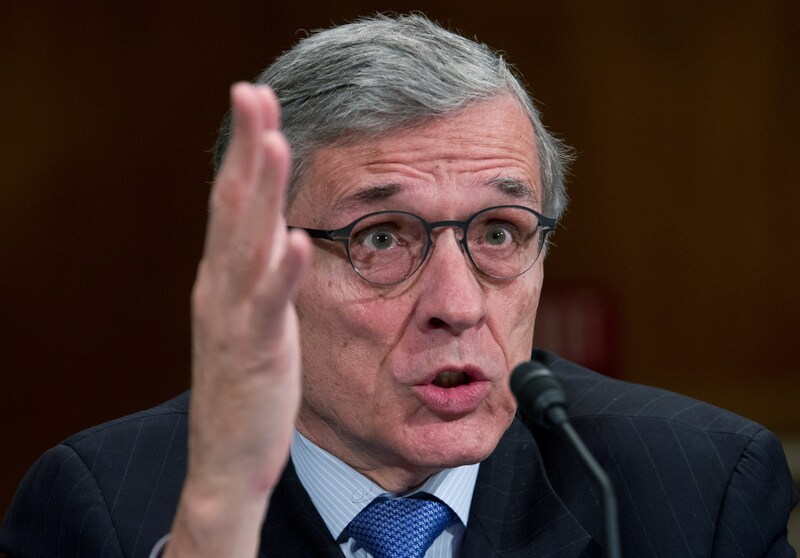 A cable lobbyist is running the FCC and protecting the net from the cable cos…. Mozilla’s proposal is too clever by half. It proposes to turn the content provider into a customer of the ISP — because the ISP is now defined has providing “transport” to the content provider. But by declaring the content provider to be the ISP’s customer, the ISP is now entitled to charge the content provider directly for the traffic delivered. This is exactly what the content providers do not want to have happen. But it does preserve Net Neutrality. Something the present system is failing to do. How can anyone not believe the internet is as much a utility as the telephone — remember dial up? The analogy with land lines is technically and legally and historically ridiculous. More like Wireless carriers (cellular phones). And about as useful in a real emergency situation, when electricity is down and cell towers aren’t working. Take a look at the interconnection regulations that apply to Title II carriers, where the big network pays the smaller network to connect calls and rates for these payments are set by state regulators. Then recall that Internet interconnection is unregulated and subject to contract law. Now explain why Mozilla’s plan makes the Internet better. Mozilla, like Tim Berners Lee and Cogent, sees the Internet as nothing more or less than the web. That perspective is understandable, but it stands in the way of the IoT and real-time apps. This is a very regressive proposal, too clever for its own good. Every Layer 2 protocol used in the world today supports priorities, even Ethernet. How does Mozilla seeing the internet as the web only affect network neutrality? If HTTP, Video Streaming and Audio is treated as the same priority, why does it matter? Unless you’re against Neutrality and that a fast lane for those who can pay is the only way the Internet will advance. Monetization is a business problem, not a technical one: the same bits fly through the pipe the same way as they always have. Billing consumers higher for the exact same or worse service is not improving anything except CEO nest eggs. Title II doesn’t ban priority. Richard very good of you to bring up things like latency, QoS, security, capacity costs (particularly upstream), and redundancy for IoT and real-time HD apps. Or at least that’s what I concluded when you talked about those services. You would agree that forcing content and app providers (and other networks) to peer only in Boston and NYC would put customers in Springfield, or Hatfield, or the Berkshires at a cost and performance disadvantage with all the tromboning and hairpinning of traffic across network boundaries. The amount of wasted transit simply because they didn’t follow natural network economies and tradeoffs between switching and transit would be huge. And of course it is worse for wireless carriers, who already have 5 year TCOs split 13 capex and 87% opex according to Wireless 20/20 (and that’s without paying for 70% offload). And don’t the edge access providers like Comcast (IAPs) really want to keep the WAN/MAN demarc (and associated economics) as close to the core as possible and not extend those economics to the edge where they’ll even benefit those in rural markets enormously? A lawyer associate once told me, when we involved in a litigation, that we had to do two things: 1) make the tribunal WANT to help us, and then 2) give the tribunal the legal arguments to do it. Problem is Wheeler doesn’t WANT to help. ISP’s have indeed evolved into a utility. It’s time to recognize that fact! Why would you title this article “Mozilla’s *crazy* plan to fix net neutrality …”? It’s not crazy at all. It’s perfectly reasonable and extremely coherent. I suggest changing the title to “Mozilla’s brilliant solution for net neutrality”, or something of the like, in order to better persuade anyone coming across this article who might be in a position of influence on this issue and might need to be open to this idea (i.e. politicians). It actually is a brilliant analysis that the FCC should very much consider the solution to the problem they are facing with net neutrality. I don’t see the distinction Mozilla is trying to make. Suppose for a moment they are correct. Suppose further that I, a business-class end-user customer of my retail ISP, decide to launch a server (which as a business class customer my TOS allows me to do). I continue to read email and browse the web as I have always done, as an end user. Does the mere fact that I launch a server suddenly change the legal classification of my traffic? It sounds preposterous to me, yet that seems to be what Mozilla is saying. I think they have a LONG way to go to make their case. No, the distinction Mozilla is making is that instead of only having a duty to the end customer (be it residential or business class), once a content provider’s traffic hits their network, the ISP also has a duty to deliver the content provider’s traffic in a neutral manner. The ask is that theFCC recognize that ISPs have a duty to those parties who send their traffic to the ISP’s network. A parallel would be a phone call. Once you make a call on your AT&T phone to a Sprint customer, there is a recognition that Sprint has to deliver the AT&T originated call. That’s not a perfect analogy because IP is upsetting that balance as well, but that’s the gist of the argument. OK, but once I start to run a server, I become a “content provider”. How does that act change the classification of my traffic and the duty owned to me by the terminating ISP (which could be any number) and for which I have no “privity”? I am at once a user and a content provider, sending two kinds of bits over the same connection. I still don’t get it. Your server traffic would be defined differently amongst the packets. Your personal traffic as an end-user and your traffic as a provider would be separate. There’s a reason you’re paying more for your service in the first place. Stacey wouldnt calling it “Last Mile ISP Net Neutrality be a more accurate description? I mean it would still allow Comcast to charge some ‘freight’ fees to large content houses (like Netflix) in order to maintain architecture, yet still feel like the ISP can make as much money as that market will allow it! This way the consumer doesnt get totally screwed, only partially. But Comcast shouldn’t be charging “freight”. They are already being paid, by me, to provide internet packets. If internet service to me, the consumer, was free, then by all means they should charge the “shipper” (a-la fedex). But service isn’t free to me. I pay for service at my address, specifically 300GB per month worth of it. Comcast is violating their contract with me when they fail to transport the packets I’ve already paid for. I agree, it seems like an artificial distinction. I do agree with the aim, to get Internet service classified as a telecommunication service rather than an information service, but that should apply equally to all users, whether “business” or “consumer.” Not clear why someone streaming video of a birthday party from their home should be treated differently than Netflix. They’re adding the Content provider to ISP relationship, so the ISP isn’t jut delivering the packets to us in a neutral manner…the content provider has to supply the packets to the ISP in a neutral manner…making it illegal to throttle the packets based on whether or not the content providers pay more for faster speeds. They are basically wanting the FCC to recognize the ISP and the middle man, and not the distributor. And should be as in the last sentence.